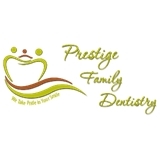 Prestige Family Dentistry (Aloha) - Book Appointment Online! We understand that patients have many options and the decision of where to go for their dental work can be challenging. Dr. Kashkouli believes in listening to each patient, understanding their concern and coming up with a treatment plan that best suits them. Experience: Since graduating in 2007, Dr. Melika Kashkouli has bonded on several hundred porcelain restorations. Having worked primarily with these materials, she is the consummate porcelain and resin bonding expert. As a team, we all stay updated on the latest materials and methods and are continually refining our protocols. Quality: We only use master ceramists, the most up to date materials and techniques. We only work with the best specialists in the Portland Metro area. Each step is critical to a successful outcome. As a result of our choices, our craftsmanship is unique and absolutely gorgeous.